Everything becomes more popular with honeymoonerswedding abroad: in France, the romantic, fun to Cuba or the magical Maldives. Weddings abroad - is a unique tale, which you will recall is still very, very long time! However, this celebration has both advantages and disadvantages that should be taken into account in its preparation. 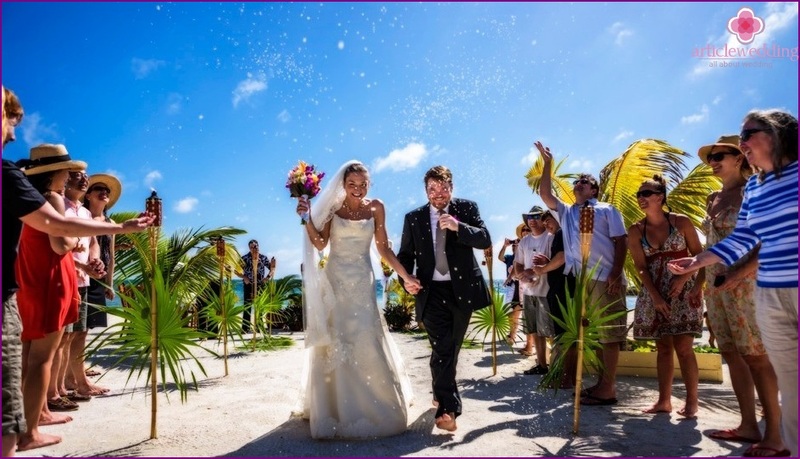 On the positive side of a wedding abroad and pitfalls we discuss in this article. 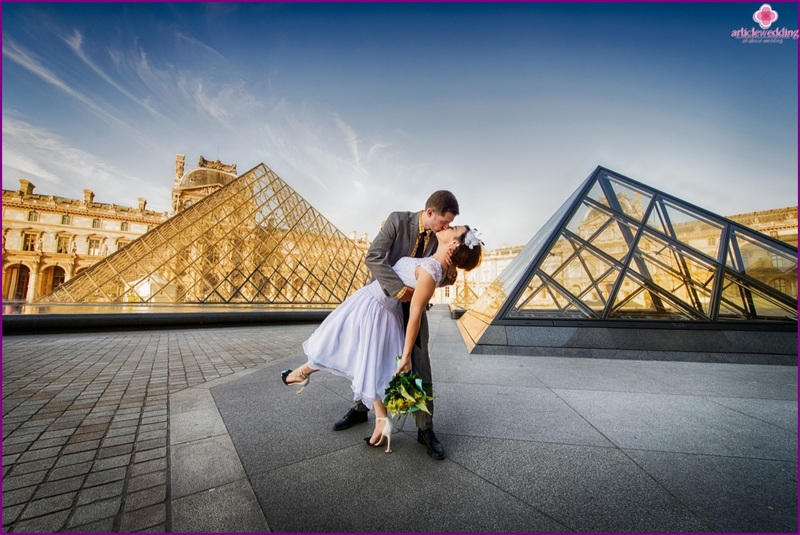 Weddings abroad will give you a lot of vivid impressions. 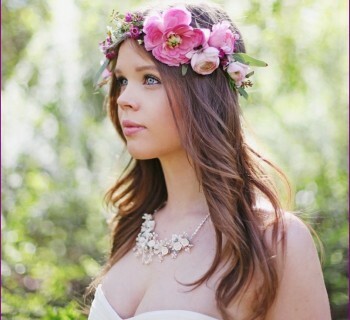 If you opt for a wedding to a warmer climate (. Egypt, United Arab Emirates, Maldives, etc. ), you can not worry about the weather - it is always great there. In exotic countries you can not think of the wedding decor, as the local flora will be a great decoration for your festivities. You can spend in the selected country and honeymoon, therefore, you do not need to spend money on a flight. In addition, many hotels in such cases will give you significant discounts. Since the triumph of the organization will be thousands of kilometers away from you, you will not be able to control the entire process into a living, but only virtually. You will not be able to invite to the celebration of many visitors, due to both the high financial expenditure, and the fact that some of the guests are afraid to fly, or can not tolerate the climate of the country you selected. If we talk about the cost of the wedding, it is difficult toreferred the item to the disadvantages or advantages. After all, it all depends on your requests: you want to spend a modest celebration for two or a big wedding with a large number of invited guests. 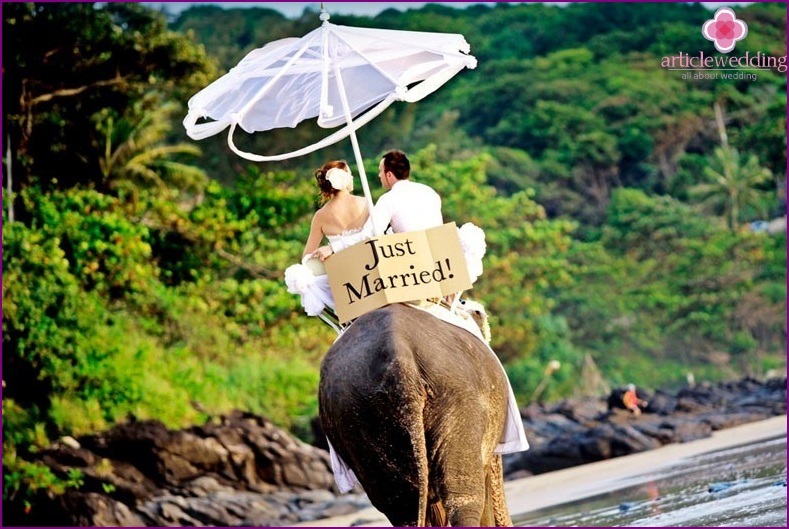 Organizing a wedding abroad: trust in the agency! 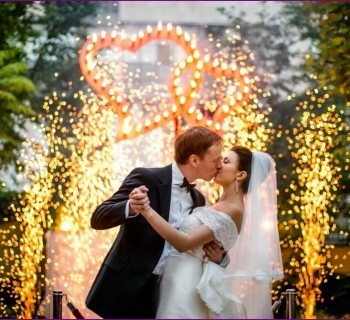 Self-organization of weddings abroad -not only difficult, but also sometimes impossible task. After all, you need not only to somehow control the process of preparation for the celebration, but also to learn all the nuances of painting legalization (if you want to spend abroad, the official ceremony). 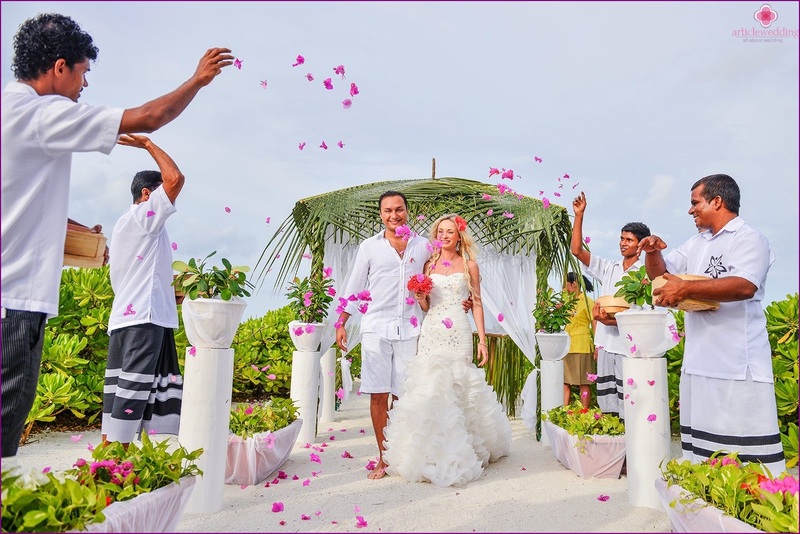 Therefore it is better to trust in the professional agencies that can arrange a unique turnkey wedding in the Maldives, Sri Lanka, or in Europe. Experienced specialists will address critical issues related to the organization of the wedding celebration, so everything was at the highest level. 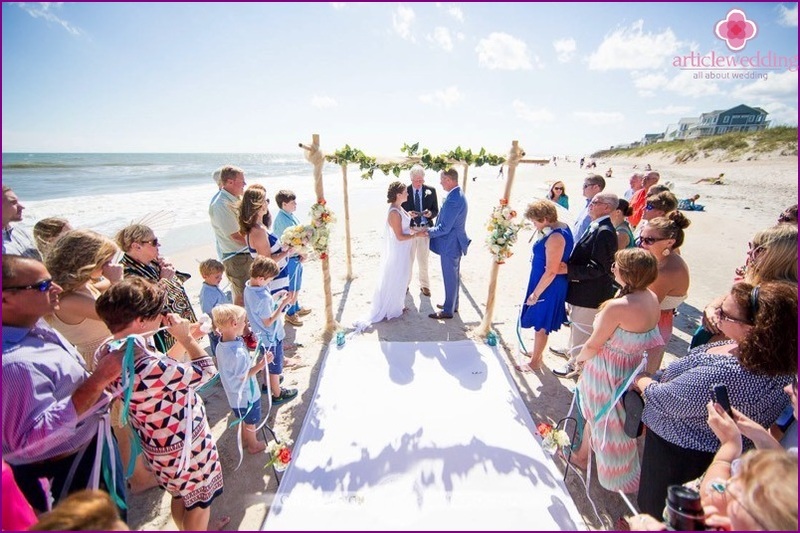 The wedding ceremony abroad: official or symbolic? 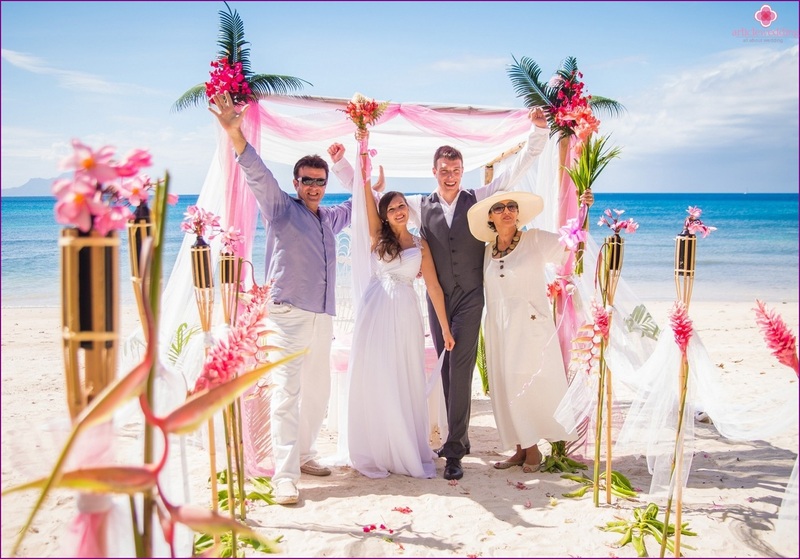 If you have already registered the marriage in the homecountry, abroad you can spend a beautiful symbolic ceremony that you will remember for a long time. Another option - is the official registration of marriage, the organization which are best left to professional agencies, because they will take all efforts to legalize the marriage. Self-certification can be a difficult task, because you do not know all the subtleties of the law of a foreign country, and you can do something is not right. The official ceremony abroad meansthe presence of an authorized person and the issuance of a certificate of the established sample, which later will have to be translated into Russian and certified by a notary. In addition, please note that the official opening ceremony will cost more than symbolic. 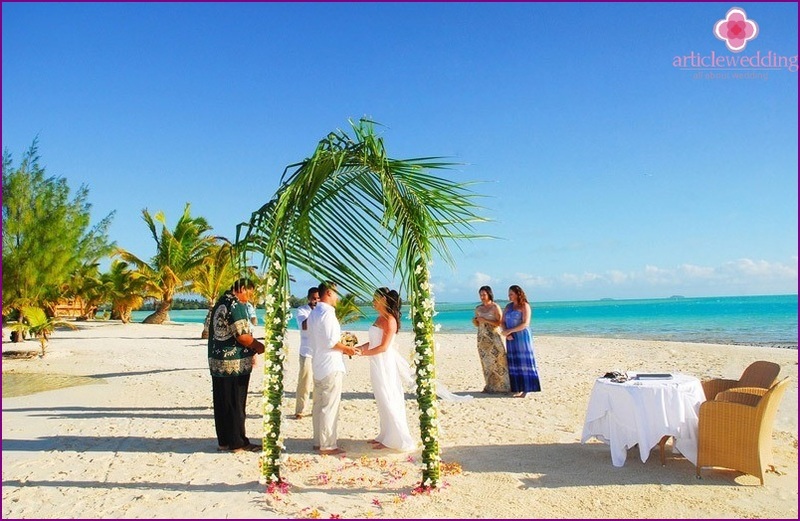 Weddings abroad - is a bright and magical celebration that you will remember for a long time. And this is already seen thousands of couples from all over Russia!